Mr. Suman Shah believes in genuinity, transparency and honesty in business. Showroom named ‘Jalaram’ was the first of such decorative veneer display in India that was conceptualised on these principles by Mr Shah. ‘Jalaram’ is an ideal name for many decorative showroom owners because of its quality offering principle hence a trusted and strong client base. Mr Suman Shah also own veneer manufacturing facility but promotes brand ‘Jalaram’ mostly through his retail showroom. Now with growing awareness in this product category, he is beginning to expand ‘Jalaram’ Veneer brand in dealer’s network pan India. 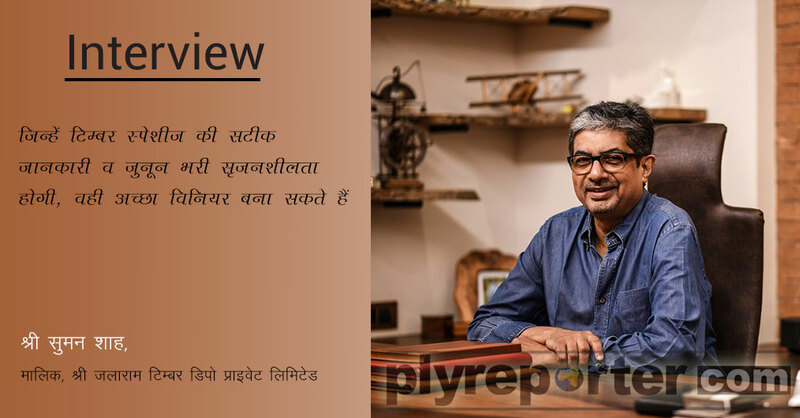 During an interaction with The Ply Reporter, he shared his view on changes happening in veneer market recent time and his future plan. Q. Jalaram is also a house for manufacturing decorative veneers, but market understands, your company is a retail business house. What is your observation? A. 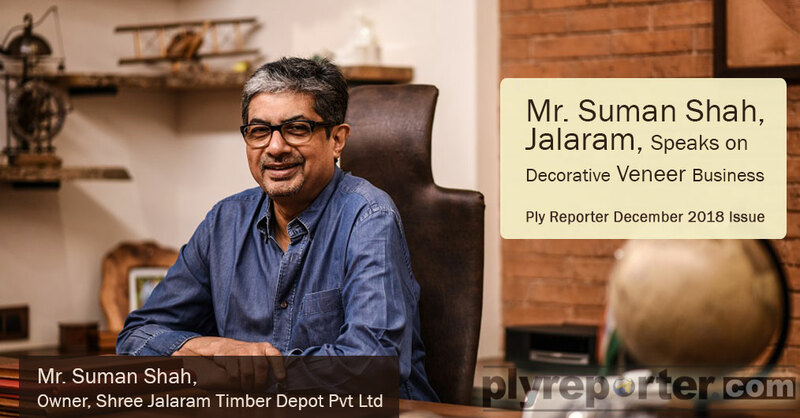 Yes, it is true that Jalaram established in 1978 began as a simple timber & plywood retail shop and in the process grew into a company that set up its own veneer manufacturing unit in Kerala. Even though we have a committed clientele across the nation we presently have a retail outlet only in Mumbai and that is the reason for this perception. Q. Give details about your manufacturing facility, infrastructure, etc. A. Our Factory, ‘Natural Wood & Veneers Pvt Ltd.’ is spread over 6 acres and located at Vettickal, Mulanthuruthy in Ernakulam district, Kerala. It is 20 kms away from Kochi and an hour drive from Kochi airport.Our factory has a fullfledged slicing & peeling facility and Kiln drying chambers. Within our factory premises, we also house an innovative showroom that showcases a grand variety of wood, veneers and floorings. The waste veneers are dyed, smoked, mismatched and sold with fancy name tags & since they look different from natural veneer, buyers feel they are buying something unusual or exotic. premises, we also house an innovative showroom that showcases a grand variety of wood, veneers and floorings. Q. Why would not you spread Jalaram Veneer brand network pan India, although you have huge manufacturing facility, sustainable quality, good range and expertise in veneer selection? What next? A. Now to increase the availability & accessibility across India we are open to appointing dealers in important cities, the first being in Indore & second a showroom at our factory premises in Kochi. Q. If anyone wants to become dealer of Jalaram Veneer, what is the criteria? How could he reach to you? A. The criteria is very simple. One needs to have a midsize showroom, maintain some stock,should be sincere and most importantly believe in our philosophy which is honesty, genuinity& transparency. With emails & WhatsApp anyone can reach us easily. In spite of new products being introduced every day the demand for natural products such as stone, marble, wood & veneers will always remain. 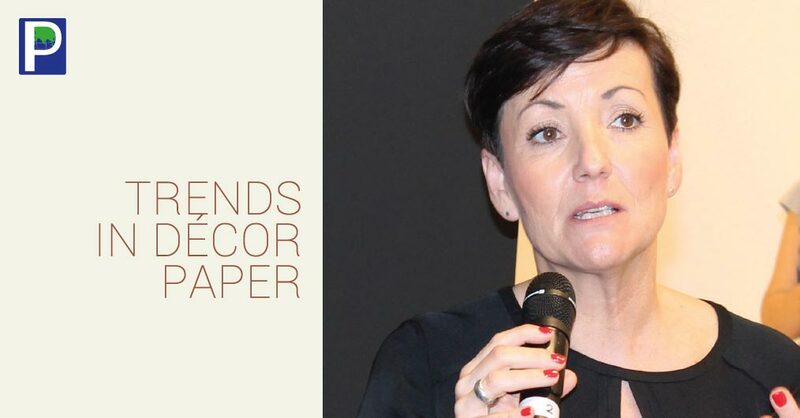 The demand is definitely on the rise as with travel, exposure and awareness of the product people are looking at better interiors and bigger spaces which will provide a growing demand for decorative veneers. Q. 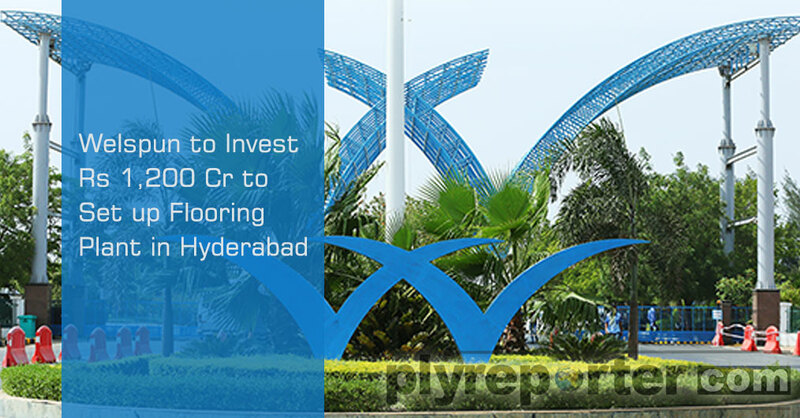 Market views that Jalaram veneer is costly, what is your comment? A. When people are not comparing an apple to an apple, when 0.35mm veneer is compared to a 0.5mm thick face veneer and when a look alike engineered veneer is compared to our natural veneer then they will find it expensive. We would like to inform you that there are many factors which decide the prices of the veneers such as thickness of the veneer, the species of wood, aesthetic beauty of the veneer, quality of the plywood, size of the lots and the grade. Q. What change do you observe in Veneer market during last 5 years? A. 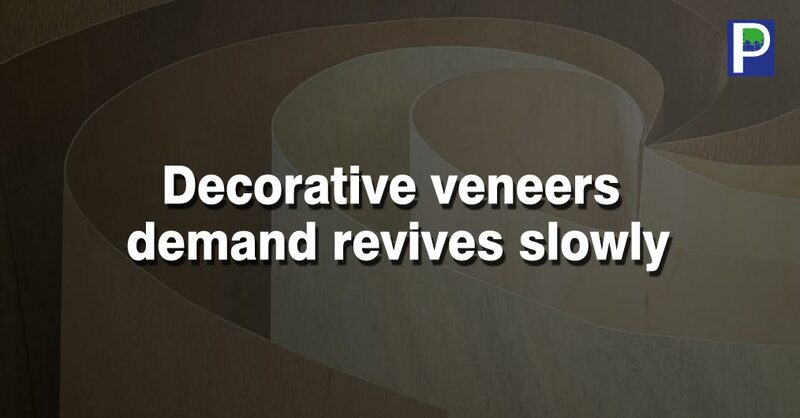 In the last 5 years we have seen all sorts of lowgrade veneers being accepted in the market. The waste veneers are dyed, smoked, mismatched and sold with fancy name tags & since they look different from natural veneer, buyers feel they are buying something unusual or exotic. Since neither the customers nor most of the dealers are aware or knowledgeable of different species, such products easily find buyers and they think they are buying something different & unusual. Q. How do you see the emergence of some trading brand in this market? A. Natural veneers sold under brand names can be important if they maintain the quality & sell with the original botanical names & maintaining the original grading systems. The best selling model of veneers would be selling by their actual botanical names and species and being transparent about the thickness of the veneers & their grades as per international norms. Q. What is the veneer market trend and who set trend in India? A. At the moment there is no trend, it is free for all. Everyone wants something different and, in the bargain, they buy the waste veneer which is dyed, smoked, fumed and have fancy names and look different from others. Q. 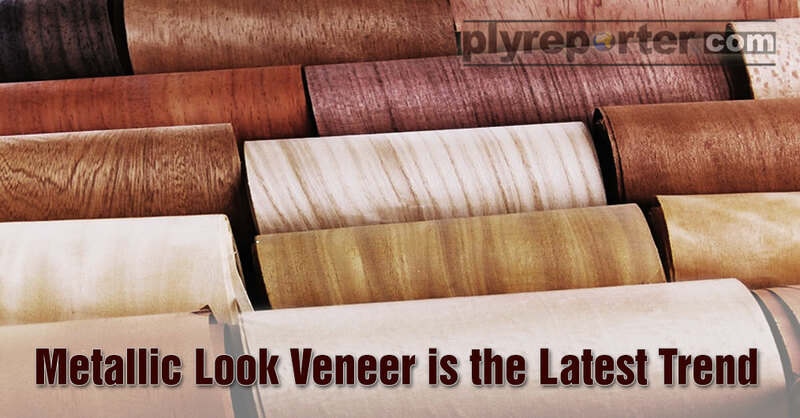 Who are the real drivers of veneer demand in India? A. There is no real driver with a driving license. Anyone drives anyhow he wants & creates traffic jams & commotion. 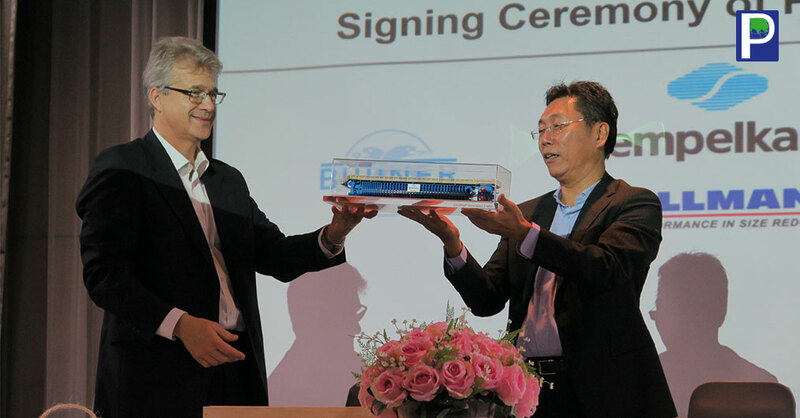 However international trends from the west do affect our market up to a certain extent. Q. 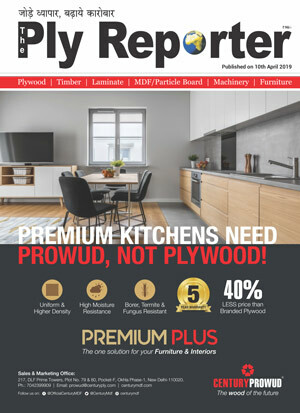 How does emergence of Showrooms are helping Veneer demand? A. 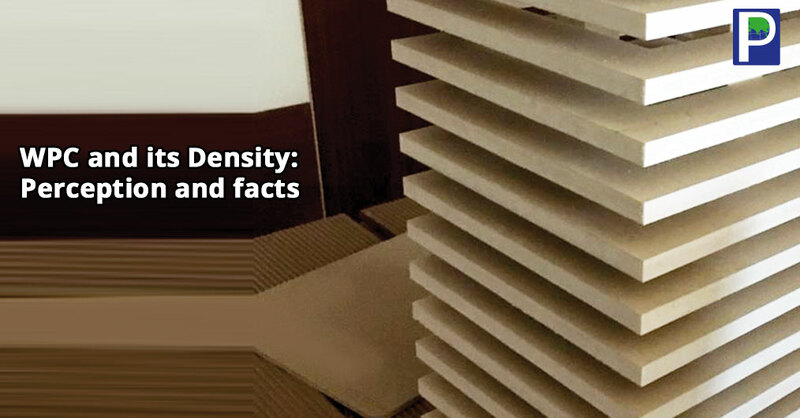 Decent showrooms displaying genuine veneer samples selling with transparency can help or create genuine awareness amongst buyers, thereby creating a good and genuine veneer demand. 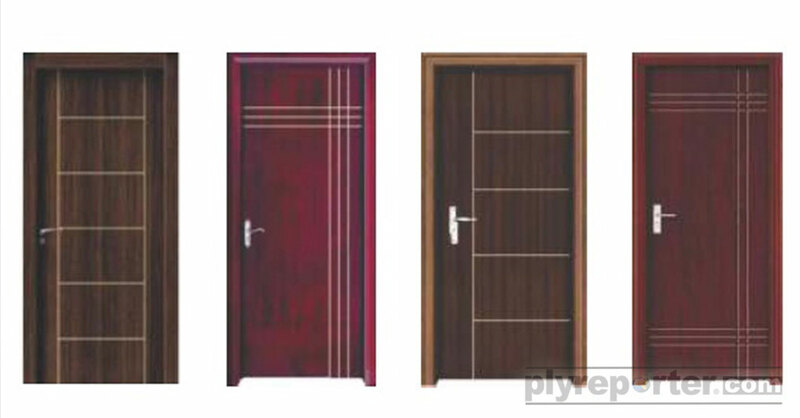 Q. Veneer is divided into two segment, one is actual wood and other is cut-paste or similar kind of innovation. What is view? What is ideal for veneer? with the original botanical names and as per international grading system. Q. What should be the best selling model of veneer? A. By selling veneers by their actual botanical names and species and being transparent about the thickness of the veneers & their grades as per international norms. Q. 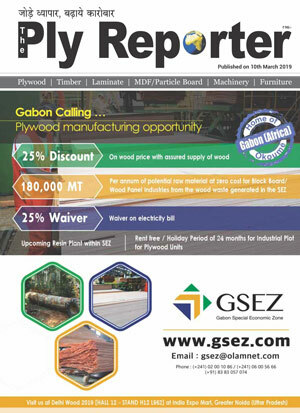 How do you see veneer demand in next couple of year? A. In spite of new products being introduced every day the demand for natural products such as stone, marble, wood & veneers will always remain. The demand is definitely on the rise as with travel, exposure and awareness of the product people are looking at better interiors and bigger spaces which will provide a growing demand for decorative veneers.